Can you imagine my excitement when I saw this site before me! The water isn’t completely still, but pretty darn close. 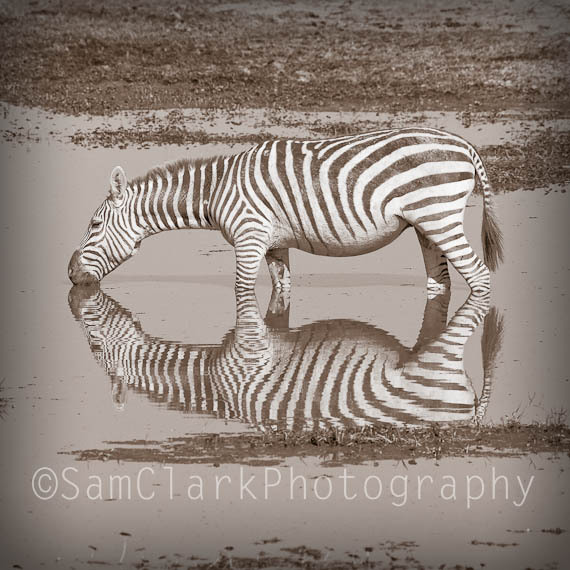 There was in-fact a few Zebra’s drinking from the water, and a few ducks as well. Image was captured in the Amboseli National Park in Kenya, East Africa.